Iowa Now previously announced the recipient of the Lola Lopes Award for Undergraduate Student Advocacy (Diane Hauser). Dailey is a speech pathologist and directs the Speech and Swallowing Clinic. He is also an adjunct assistant professor with the Department of Communication Sciences and Disorders. 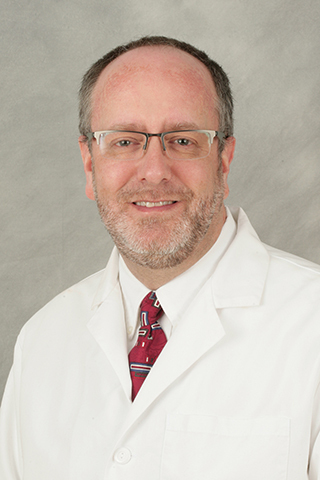 He is well-known around the state and country for his expertise in pediatric feeding, cleft palate, and craniofacial anomalies and swallowing disorders. He helped establish UI Health Care’s fundamental programs for pediatric feeding and related disorders, which are still used in patient and family care today, and comprise the information used for the continuing education of UI Health Care health professionals. In addition to working directly with patients and families, Dailey is an outstanding mentor of graduate students. He has served on the board of directors for the American Cleft Palate-Craniofacial Association and on multiple committees of the American Speech-Language Hearing Association. Garr is diversity coordinator in the College of Nursing. She has served in a number of capacities at the university, bringing to each of them a focus on diversity and inclusiveness. She was a founding member of the Iowa Edge pre-orientation program for new underrepresented undergraduates, co-wrote the proposal to bring the National Coalition Building Institute to the university, and was part of a three-member team that created the Advantage Iowa Award for underrepresented and first generation undergraduates, among many other contributions. She has partnered with units across campus to support diversity programming, and personally conducts workshops on issues of diversity, cultural competence, and social justice. In the College of Nursing, she co-created and is the coordinator of the college’s Supplemental Instruction and Nursing Educational Support Team (NEST) tutoring program, which brings underrepresented and international students who are interested in nursing together with experienced peer mentors. Knipper is clinical practice leader and clinical supervisor of the Pulmonary Rehabilitation Program in the Department of Rehabilitation Therapies. 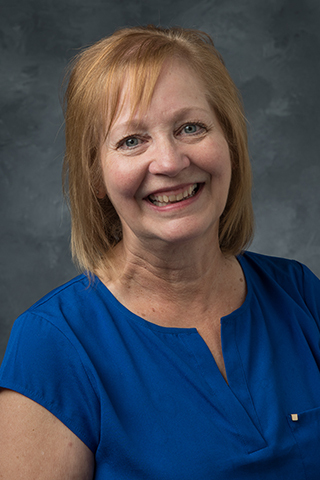 Hired in 1992 to help build the then-brand new program, she has in the years since been instrumental in establishing the Pulmonary Rehabilitation Program as one of the top programs in the country, with excellent staff and the highest quality patient care. Her passion for pulmonary rehabilitation has led her to leadership positions at the state and national levels. 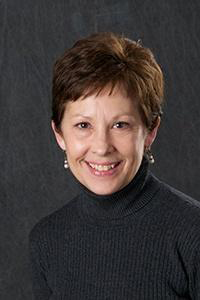 She has served on the board of directors, on multiple committees, and as president of the Iowa Association of Cardiopulmonary Rehabilitation; and she has been active in the American Association for Cardiovascular and Pulmonary Rehabilitation, earning that organization’s Distinguished Service Award in 2017. Committed to sharing knowledge, she developed a biennial continuing education conference at the UI that regularly draws a wide audience of nurses and respiratory therapists. Rindels is the senior coordinator for UI Hospitals & Clinics’ Comprehensive Stroke Center. She coordinates the development of protocols for transfer and treatment of stroke patients, has played a key role in the development of telemedicine initiatives, and has overseen quality control efforts. She led the certification of the center as a Comprehensive Stroke Center, the only one in the state of Iowa. 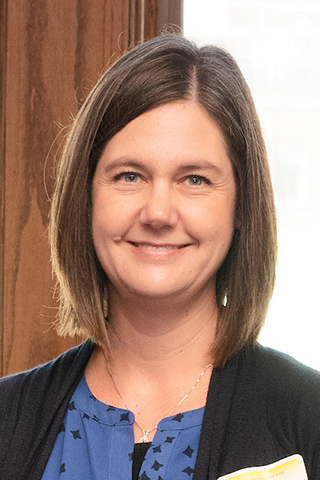 She has held leadership roles in the Iowa Stroke Task Force, which advocates for stroke care and awareness within the state—particularly in rural areas, where technical and human resources may be sparse. She was a leader in developing a statewide registry of stroke patients, and is one of the founders of Stroke Camp, which brings together stroke patients, their caregivers, and professionals with a focus on improving quality of life. Shuttleworth is the environmental education and outreach coordinator for the Iowa Lakeside Laboratory and Regents Resource Center on West Okoboji Lake. She has brought inquiry and experiential learning to learners of all ages. She has developed new and innovative ways to connect thousands of K–12 students to the natural world through hands-on scientific inquiry. She led the development of a professional training program for early childhood educators that has helped hundreds of teachers use the natural environment as an academic laboratory. She has empowered citizens to become active stewards of the environment through the Cooperative Lakes Area Monitoring Program (CLAMP), which engages citizens in collecting data on the health of the Iowa Great Lakes. 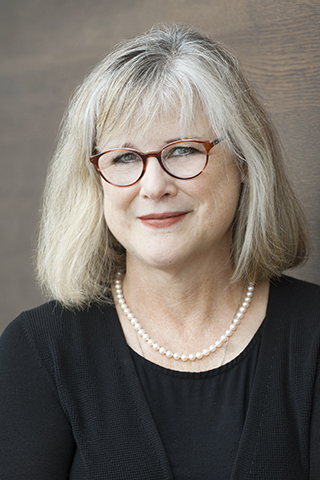 And she has been a pioneer in connecting the sciences and the arts, advocating for the Writer-in-Residence program at Lakeside Lab. Warren is the assistant director for student services at the Belin-Blank Center for Gifted Education and Talent Development. She is a national leader in early college entrance programs. At the Belin-Blank Center, she administers a number of pre-college student programs that positively impact thousands of young Iowans. These include the Blank Summer Institute, a summer residential program that brings middle-school students to the UI campus; the Scholastic Art and Writing Awards for Iowa and the Midwest region, a nationally recognized program that now attracts nearly ten thousand entries annually; and the new Bucksbaum Early Entrance Academy, a premier opportunity for highly talented high school students who are ready to start college at the age of sixteen. She spearheaded development of two new three-week summer residency programs for high school students, in art and writing, that were offered for the first time in summer 2018. Paetzold is the director of global health programs and adjunct instructor in the Stead Family Department of Pediatrics in the Carver College of Medicine. She designs, oversees, and delivers programming that focuses on poverty, health inequities, and diversity. In addition to teaching and facilitating courses and clerkships, she mentors students in global health rotations. 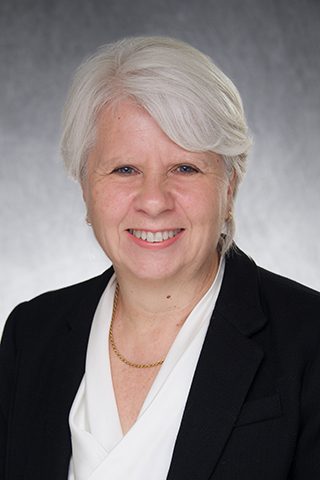 She is the faculty mentor for three medical student global health organizations, oversees the college’s academic exchange programs, and started and oversees programs in Spanish and French medical language. 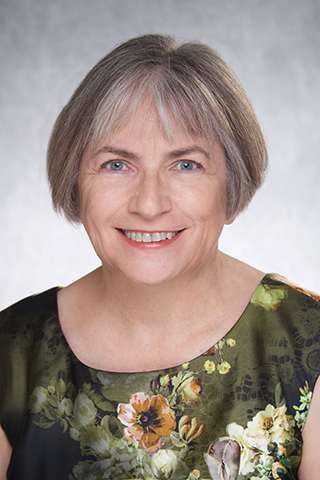 Her extensive institutional service record includes membership on the advisory board to the College of Liberal Arts and Sciences Global Health Studies Program, the Charter Committee on Human Rights, the Committee on Library Services, and the Lecture Committee. She has also been active in the international Consortium of Universities for Global Health, as a member of multiple committees and on the executive board from 2010 to 2014. Reams is associate dean in the Office of the Dean of Students. She has created, participates in, and/or leads multiple campus-wide groups that provide critical student support and promote campus safety. She co-directs the Early Intervention Team, which supports students who are experiencing multiple concerns; co-chairs the Autism Spectrum Disorder Committee, which seeks ways to support students with autism; and convened a group of campus and community partners to explore ways to better support homeless students. She oversees the Campus Inclusion Team, and is a core member of the Threat Assessment Team. She has also been a driving force behind multiple new student assistance and support initiatives, such as the Hawkeye Completion Grant, which allocates grant funds to students experiencing difficulties paying tuition and fees; and the Hawkeye Meal Share program, which gives students the opportunity to donate unused guest meal swipes to students who are experiencing food insecurity. Guo, an assistant research scientist in the Department of Pharmacology in the Carver College of Medicine, conducts research at the forefront of the field of metabolic science and obesity, working to understand how the brain controls the body’s fat stores. He has published 69 papers (including 18 since joining the University of Iowa), many of which have been published in prestigious journals. 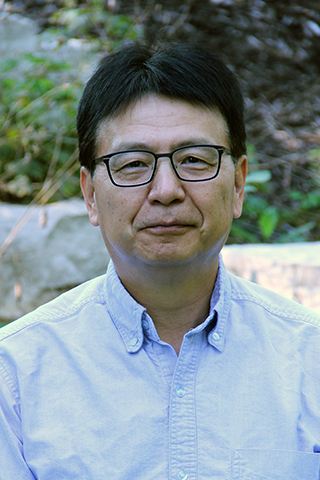 His unique laboratory skills and creativity have allowed researchers to push technical boundaries and extend the range of approaches that can be applied to their studies. In addition to conducting his own research, he generously serves other laboratory members and faculty by performing experiments on their projects and helping others gain technical command of sophisticated methods. He has trained innumerable graduate students, postdoctoral fellows, and visiting scholars in laboratory research. Johnson is research manager in the neonatology division of the Department of Pediatrics in the University of Iowa Hospitals & Clinics. After serving for a time as a staff nurse in the Neonatal Intensive Care Unit, her passion for providing the best care for infants led to her current position, in which she is an integral part of all research and clinical trials conducted in the Division of Neonatology. 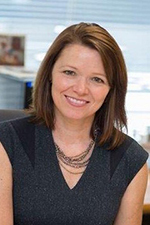 Her initiative, dependability, and high-quality performance are instrumental in the approval, implementation, and coordination of dozens of clinical trials at the University of Iowa. 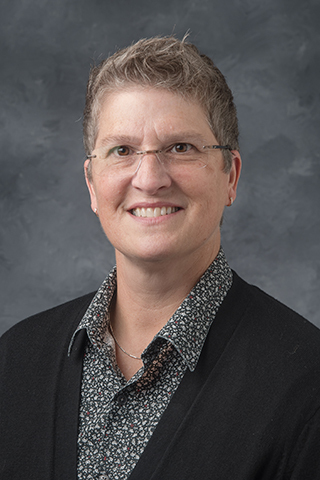 She has also brought recognition to the university through her service as clinical coordinator for UI in the Neonatal Research Network (NRN) of the National Institute of Child Health and Human Development, a group of elite research institutions around the country that conduct research studies to promote optimal care in neonatal intensive care units. 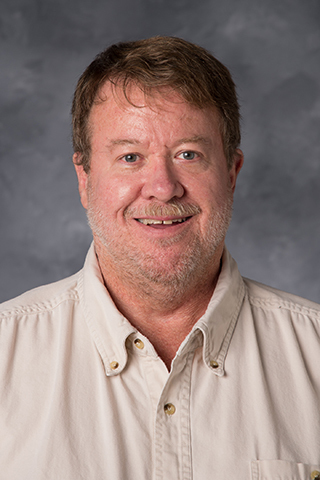 Kirby, associate director of the University of Iowa Honors Program and director and co-founder of the Iowa Center for Research by Undergraduates (ICRU), has made extraordinary contributions to the culture of undergraduate research across campus. He has helped countless students connect with faculty researchers, scholars, and artists, helping to give those students rich undergraduate experiences that are often life-changing. He created the ICRU Ambassadors program, through which experienced students recruit and serve as peer mentors for students just starting out in research. Under his direction, ICRU has created or taken on several initiatives to help students and the community better understand the value of research, including the fall and spring Undergraduate Research Festivals, at which students showcase their research via poster presentations; and the annual Research in the Capitol event, which educates legislators about the potential impact of UI research. Koeppel is departmental administrator for the Department of Physics and Astronomy in the College of Liberal Arts and Sciences (CLAS). From 2005 to 2016 he was administrator for the Department of Biology, where helped to enhance grant funding and philanthropic support. He was also a key contributor to revamping the biology curriculum, bringing insights gleaned from several years as a TILE certified adjunct lecturer in the Career Leadership Academy. Having come to his current department in a time of significant challenges, he has been able to implement change through creative, collaborative problem solving and by building a positive working environment. Because of his reputation for being open-minded, knowledgeable, and an effective communicator, he has been invited to serve on a number of important college and university committees, including the CLAS Self-Study Committee, the Faculty Staff Budget Committee (which he co-chaired from 2015 to 2017), and the CLAS Decanal Review Committee. Moninger is a core facility research specialist and assistant director of the Central Microscopy Research Facility, which has been internationally recognized for the quality of its work. 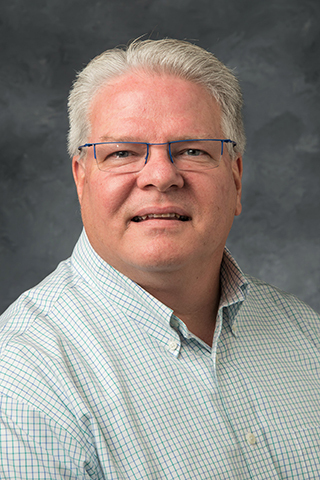 He has been key in bringing new technologies to the facility, and he has acquired an encyclopedic knowledge of extremely complex instrumentation—which he has used to assist faculty and students in multiple colleges working on a wide variety of research projects. He has spent many hours training students, postdoctoral fellows, staff, and faculty in the use of microscopic equipment, often showing them new approaches to difficult problems. His own role in discovery is evidenced by his many co-authored papers published in top journals. He has a special ability to present images in ways that make the main point of a research study research accessible, and his images have appeared on the covers of many journals. Robertson is research support manager for the State Health Registry of Iowa (SHRI) in the Department of Epidemiology, College of Public Health. She is the primary individual responsible for pre- and post-award research administration in the SHRI, where she oversees the multi-year, multi-million dollar Surveillance, Epidemiology, and End Results (SEER) contract from the National Cancer Institute (one of the university’s largest federal contracts). Her long-term knowledge and experience have greatly enhanced the SHRI’s ability to develop and provide needed resources, and she has been instrumental in developing strategies to maintain research excellence in the face of declining federal funding. She has also contributed noteworthy service to the college and university as a member of the College of Public Health Staff Council and then university Staff Council, of which she is currently a member of the executive committee. 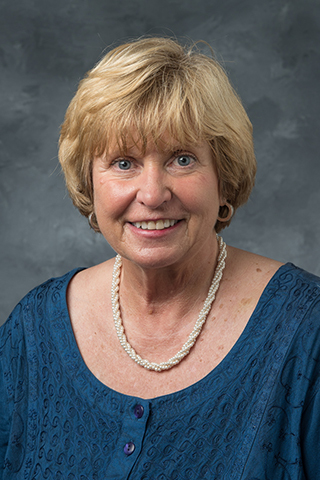 Assouline, the Myron and Jacqueline Blank Endowed Chair in Gifted Education in the College of Education, directs the Belin-Blank International Center for Gifted Education and Talent Development and is internationally acknowledged as a leader in the field of gifted education. She has co-authored dozens of publications, perhaps most notably the reports A Nation Deceived and A Nation Empowered, both of which have changed the way educators perceive academic acceleration for gifted learners. She has contributed significantly to the growth of the Belin-Bank Center, expanding its research contributions and its service to students and educators across the nation and around the world. She played a central role in the development of the Assessment and Counseling Clinic and the Acceleration Institute, two unique and nationally respected programs that have changed gifted education and made a difference for individual children and their families. In 2012, she was elected into the Iowa Academy of Education. 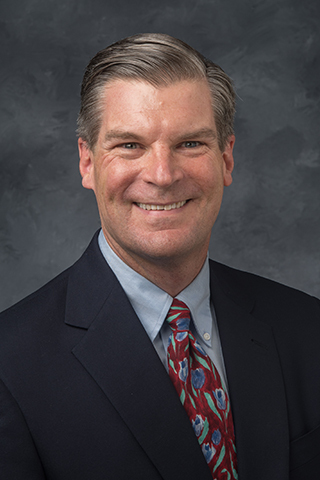 Carter is the Patrick E. Keefe Professor in Pharmacy in the College of Pharmacy, and a professor in the Department of Family Medicine in the Carver College of Medicine. He also directs the Cardiovascular Risk Service research lab in the College of Pharmacy, where his research has focused on improving the quality and delivery of health care to patients living with multiple chronic diseases. 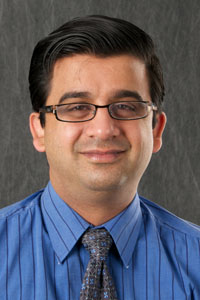 He is known worldwide for his expertise in clinical trials, team-based care, hypertension, and cardiovascular disease. He is Past President of the American College of Clinical Pharmacy, has served on 25 scientific review panels for the National Institutes of Health, and has chaired numerous national professional committees. Professor Carter is dedicated to the development of the next generation of clinician-scientists and patient advocates, and is a sought-after teacher and mentor among pharmacy students and junior faculty members alike. Hammond is professor of pharmacology and anesthesia in the Carver College of Medicine. She is internationally recognized for her research into the neurobiology of pain, and has made groundbreaking contributions to the understanding of brainstem mechanisms that contribute to the development of chronic pain. A dedicated teacher and mentor, she served as principal investigator for a training grant in the Pain Research Program for more than 10 years, and in 2015 she successfully competed for an NIH grant to support a program that positions underrepresented minorities to succeed in post-baccalaureate research education in the biomedical sciences. 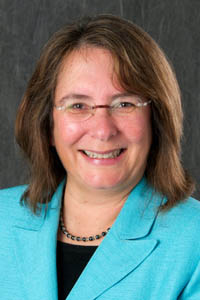 She has provided exceptional leadership during several times of transition, including four years as interim chair of the Department of Pharmacology, three years as interim executive associate dean of the college, and a brief period as acting dean before serving an additional two years as executive associate dean. 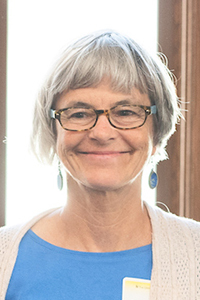 Heimer is professor of sociology and gender, women’s, and sexuality studies in the College of Liberal Arts and Sciences. She is a leading scholar in the area of gender and crime. Her work has been recognized with multiple awards from the American Society of Criminology—the preeminent international organization for the study of crime—for which she now serves as president. She has served on panels and advisory boards for the National Academy of Sciences, the Centers for Disease Control, and many others. Her service to the university includes chairing the Department of Sociology from 2014 to 2017, during which time she significantly strengthened mid-career faculty mentoring and provided leadership in establishing the rapidly growing new undergraduate major in criminology, law, and justice. Dr. Heimer has received several teaching and mentoring awards, including the President and Provost Award for Teaching Excellence. Moore is professor of music, associate director for instructional support, and percussion area head in the School of Music in the College of Liberal Arts and Sciences. He is an expert in percussion performance, with a specialization in marimba and vibraphone. Widely recognized for his improvisation skills and genre-crossing work, he has been invited to perform on four continents and in 43 U.S. states. 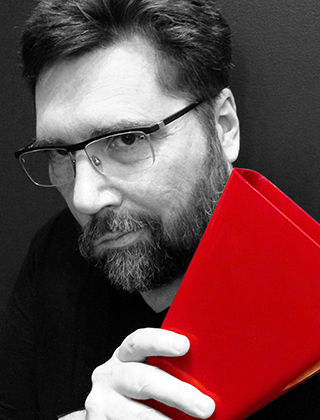 He is also an active composer and arranger with more than 30 published works, and a commitment to musical innovation that has led to projects such as his collaboration with UI physicist Craig Kletzing to create a composition based on digital data from Van Allen’s space probes. Professor Moore instructs all percussion majors at the university and directs the Iowa Percussion Ensemble and Steel Bands. He and his students perform widely throughout the state, nation, and world, and won the 2013 Percussive Arts Society World Percussion Ensemble Competition. 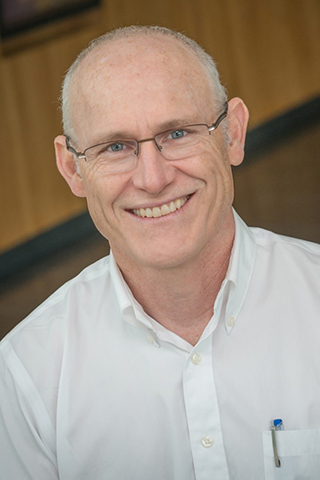 Thorne is professor in and head of the Department of Occupational and Environmental Health in the College of Public Health, where he also directs the Environmental Health Sciences Research Center. He is associate director of the interdisciplinary Human Toxicology program, a model program for student training and research engagement that he helped establish. An internationally known scholar in the fields of environmental hazards, pulmonary toxicology, and human health risk assessment, he serves on the Board of Environmental Studies and Toxicology for the National Academy of Sciences, and recently served as chair of the Environmental Protection Agency’s Science Advisory Board. He has collaborated with many communities concerned about environmental exposures to dangerous chemicals, to evaluate the hazards they face and their associated health impacts. He is an active and sought-after teacher and mentor for students and for junior faculty, helping build careers that shape scientific innovation. 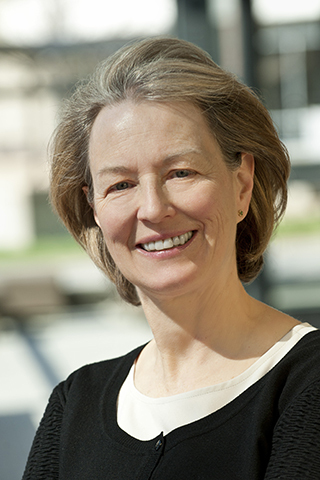 Bohannan is professor and Lauridsen Family Fellow in Law in the UI College of Law, and has served as a faculty fellow in the Office of the Executive Vice President and Provost since January 2017. In her many collegiate and university-wide service roles, she has demonstrated a remarkable ability to build relationships and to balance the often competing priorities of different constituencies for the greater good of the university. As Faculty Senate president in 2015–16, she championed the rights of non-tenure track instructors and helped to draft the university’s new instructional track policy. She has taken a leading role in helping faculty and administrators effectively balance the university’s core commitments to inclusion and academic freedom, with efforts such as creating a Faculty Senate committee on Academic Values, and partnering to create the Campus Inclusion Team (an initiative that provides mechanisms for students to report concerns involving bias while protecting academic freedom). Lynch is professor of epidemiology in the College of Public Health and medical director and principal investigator of the Iowa Cancer Registry, which provides invaluable data to the state and nation, educates Iowans about cancer prevention and early detection, and helps to train future cancer epidemiologists. He has provided extraordinary service to the state and nation through his own groundbreaking research into the association between radon and lung cancer, which has likely saved the lives of many Iowans and others around the world. He is also the longtime Iowa director for the Agricultural Health Study, researching the health, safety, and risk factors associated with farming and pesticide use among more than 58,000 Iowans enrolled in that study. His extensive university service includes acting as chair or vice chair of the Board in Control of Athletics and the Presidential Committee on Athletics, both of which honored him with their Distinguished Service Awards. 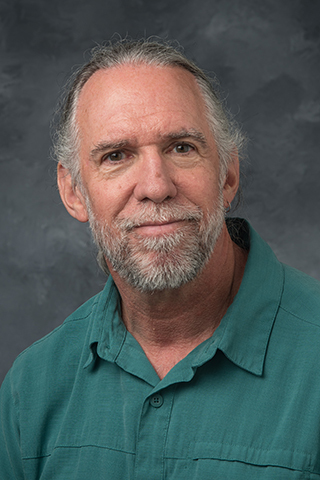 He received the Regents Award for Faculty Excellence in 2014. Nisly, clinical professor of internal medicine in the Carver College of Medicine, is a tireless advocate for the recruitment and retention of diverse faculty and students and for addressing health disparities. 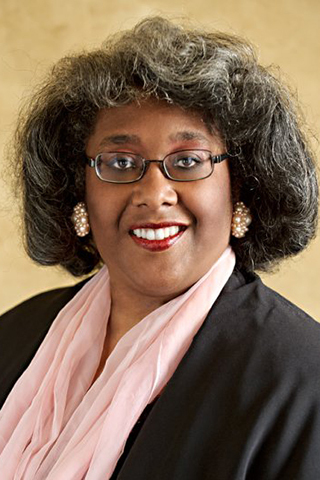 She has served as a member of the collegiate diversity steering committee since 2005, co-chair of the university Charter Committee on Diversity since 2007, associate chair for diversity for the Department of Internal Medicine since 2013, and interim chief diversity officer in 2010–11. She founded and staffs the University of Iowa Hospitals & Clinics LGBTQ clinic—one of only about 200 like it in the nation—and works with the Iowa Department of Corrections to create humane protocols for incarcerated people who identify as transgender. She founded and directs the UI Hospitals & Clinics Complementary and Alternative Medicine clinic, which has served thousands of patients. She served on the Faculty Senate for more than 10 years, including five on the Faculty Council. Gruca is Henry B. Tippie Research Professor of Marketing in the Tippie College of Business. His teaching centers on the philosophy “learn by doing.” His legendary core MBA course in marketing management emphasized a pragmatic approach to problem solving that helps students develop impressive skills in critical thinking. His field studies in marketing course focused exclusively on solving real-world problems for external organizations. In these and other courses, he provided transformational experiences that prepare students to ask better questions, be better listeners, and ultimately to succeed in marketing positions upon graduation. 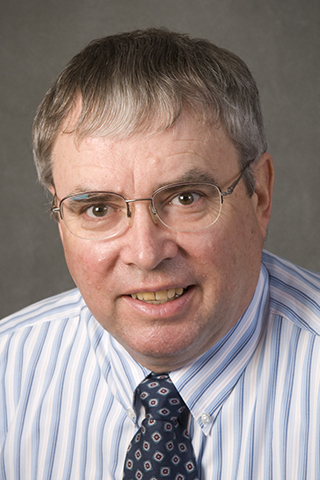 As a foundational member of the MBA Strategic Steering Committee, he was instrumental in the development of the “academy” structure of the on-campus MBA program—a mix of theory and practical application, developed with the cooperation of the business community, that emphasizes course work specifically relevant to MBA-level managerial positions. He has won eight MBA teaching awards. Knight, associate professor of instruction in the Department of Rhetoric in the College of Liberal Arts and Sciences, sets a standard of excellence in teaching General Education rhetoric, creating an environment where students of every ability can succeed. She also leads a variety of high-impact teaching initiatives that serve both graduate and undergraduate students. 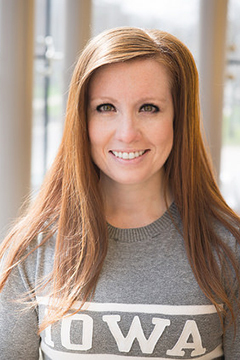 She developed two graduate teaching courses to address the pedagogical and professional goals of the university’s diverse graduate student population. She collaborated with the Center for Teaching to found the Graduate Teaching Fellows, an opportunity for dedicated graduate student teachers to develop their teaching and explore careers in teacher training. She co-founded the Graduate Pedagogy Studio, a drop-in resource for graduate instructors to receive help on a variety of teaching challenges, and she co-directs the Honors Writing Fellows Program, which trains talented undergraduate honors students to serve as writing tutors in a variety of writing-intensive undergraduate courses. Suneja, professor of internal medicine in the Carver College of Medicine, is involved in all levels of medication education, teaching students, residents, and fellows. 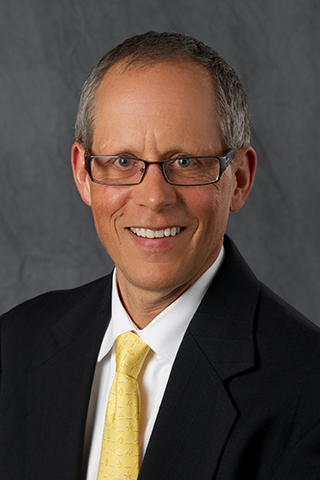 He directs the internal medicine residency program at the University of Iowa Hospitals & Clinics, which under his leadership has come to be considered among the most competitive residency programs of its kind in the nation. He was an integral voice in the design and implementation of the new medical curriculum, and now co-directs Clinical and Professional Skills, one of three critical education “strands” on which the curriculum is based. His contributions to medical education extend far beyond the university, and include co-editing the 10th Edition of DeGowin’s Diagnostic Examination, the world’s most-used point-of-care clinical diagnostic guide. He received the Collegiate Teaching Award in 2014, and in 2015 was named the William and Sondra Myers endowed professor for excellence in clinical teaching. Vecera, professor of psychological and brain sciences in the College of Liberal Arts and Sciences (CLAS), is committed to “shrinking the size of the university” for undergraduate students. In the large, General Education course Elementary Psychology—which he has taught for many years—he finds ways to engage students in a more personal learning experience through memorable demonstrations, videos, songs, and anecdotes. As a member of the executive committee for University College since 2010 and in other key roles, he has been actively involved in many campus-wide initiatives to promote undergraduate student success, especially for first generation and minority students. He has also been an extremely effective mentor for undergraduate and graduate students alike, ultimately inspiring many to pursue careers in research and teaching. He received the CLAS Collegiate Teaching Award in 2005, and in 2016 was named the Herman J. & Eileen S. Schmidt Chair for Excellence in Undergraduate Education. 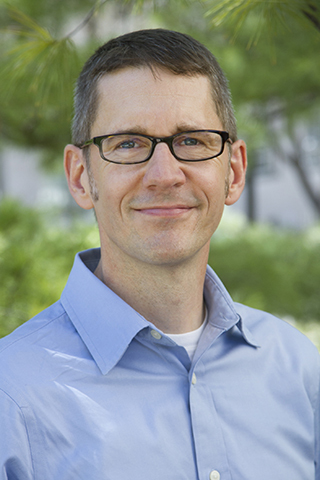 Stone is associate professor of chemistry in the College of Liberal Arts and Sciences (CLAS), with a research focus on atmospheric particulate matter and its impacts on climate and health. 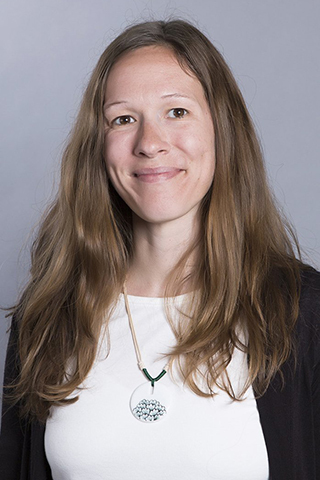 With the 2018–19 James Van Allen Natural Science Fellowship, Dr. Stone is working to improve understanding of the origins of atmospheric particulate matter, and of how anthropogenic activity contributes to degradation of air quality. 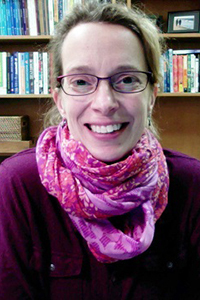 In addition to having established a regionally, nationally, and internationally renowned research program, she is a highly effective educator who teaches a variety of courses, often incorporating relevant findings from her own research into her classes, and mentors many graduate and undergraduate students in research. She contributes extensively in service to her department, the university, and her profession, and is a dynamic leader in community outreach efforts. Professor Stone received the CLAS Outstanding Outreach and Public Engagement Award in 2017.